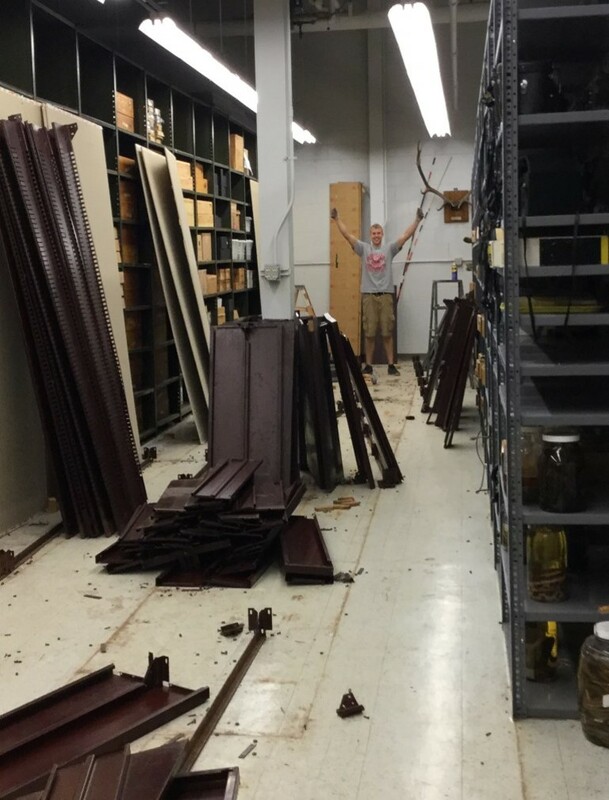 Tomorrow, Saturday April 22, from 10 AM – 4 PM we will open our doors and welcome all of you to visit our hidden treasures in the natural history collections of The Ohio State University. Stop by and talk to the curators who meticulously keep these specimens and make them available to students and researchers for study throughout the year. This is your chance each year to see what we do and to support our efforts. The event is FREE and so is parking. We will have many activities for children including face painting, the very popular bugs-in-goo, a live arthropod zoo … and this year new, for anyone over 15 years, guided sessions on scientific illustration, drawing natural history specimens. About the Author: Angelika Nelson is curator of the Borror Laboratory of Bioacoustics and coordinates social media and outreach at the museum. Unlike the super heroes in popular movies, scientists don’t just wake up and suddenly have the power and knowledge of everything in their field. It takes tremendous work and studying for researchers or curators to get to where they are today. In the field of natural history, museums play a huge role in the establishment of a baseline of identification knowledge for students. The Ohio State University (OSU) students have the privilege of gaining hands-on-experience with the very species they may study in the future. 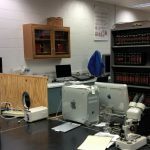 The MBD provides a hands-on aspect to many of OSU’s “-ology” courses, with our teaching collections. 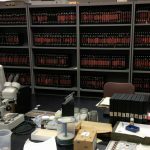 What distinguishes a teaching collection from a scientific collection? Scientific specimens hold valuable data. Typically, they will have a specific date or location when and where they were collected associated with them. Sometimes they may be the first described of their species, a state record, or from an expedition. These specimens are all unique and valuable to the scientific community. Therefore we tend to only use them for teaching when they are the only example available in our collection. 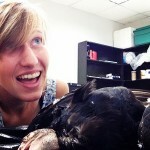 Our goal is to make these scientific specimens last for centuries. If they are used for teaching and are handled regularly, they degrade quicker and may not be available for future research. 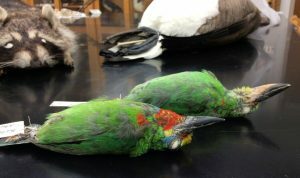 Specimens in a teaching collection typically do not have data associated with them. 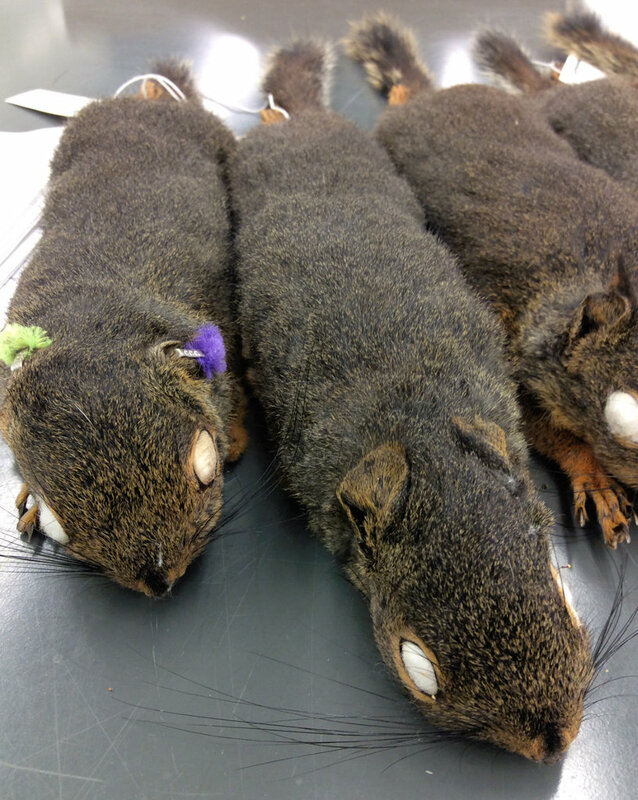 Instead, these specimens are chosen and prepared to be best representations of their species. 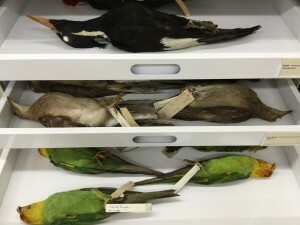 Instead of having drawers with many individuals of the same species, specimens for a teaching collection are carefully chosen so that they represent a male and a female, a juvenile and an adult, winter and breeding plumage of a species. So if every specimen in a collection is individualistic and different looking why do our teaching collections only have a few representatives? 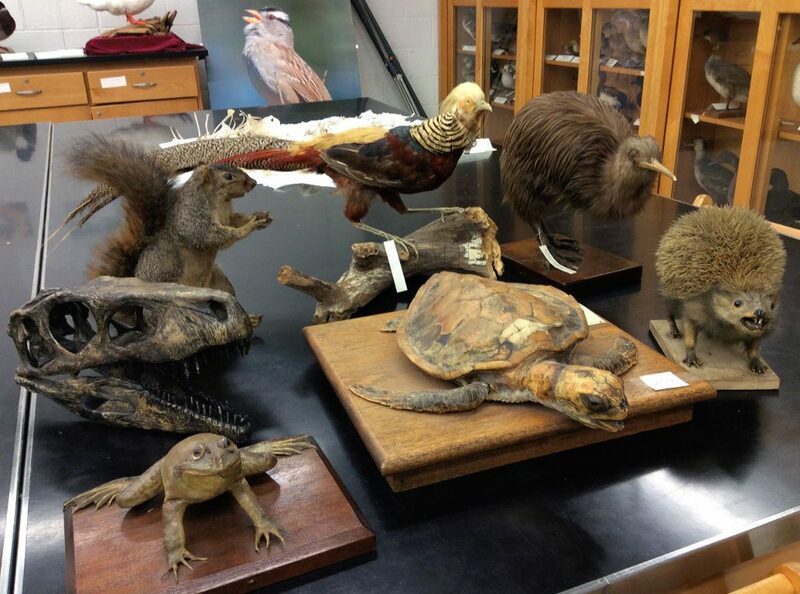 The goal for a teaching collection is to show a general representation of a species. Students should be able to look at one or two specimens of a species, use what they have learned from those specimens, to identify living representations out in nature. Who uses the teaching collections? The main value of a teaching collection is to further science education. 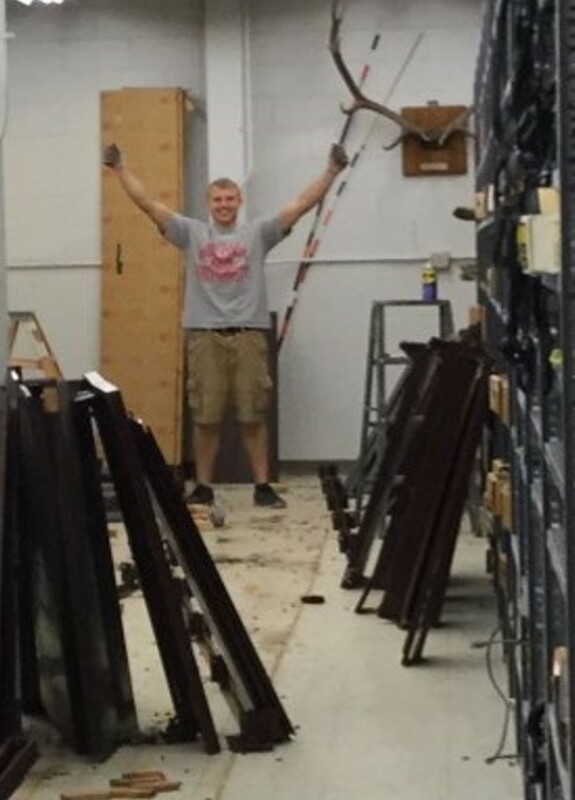 The primary purpose of the OSU teaching is to educate OSU students. 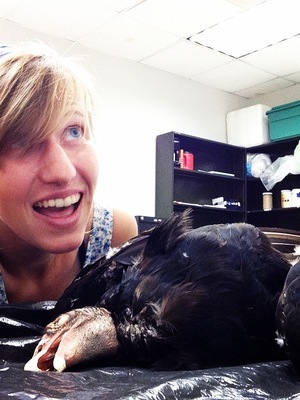 Courses such as Ohio Birds, Avian Wildlife Biology and Management, Mammalogy, and Herpetology use teaching specimens as hands-on tools to help students to become engaged in the classroom. 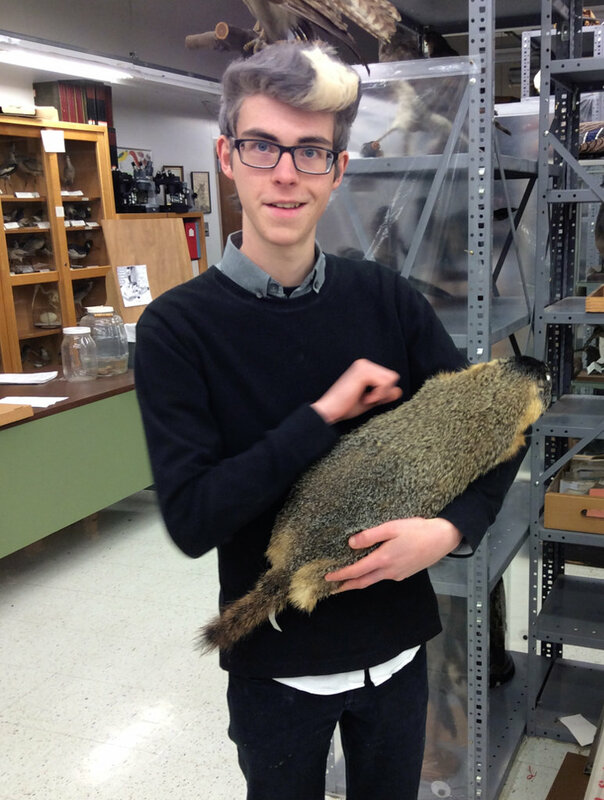 Students also gain skills in understanding how natural history collections work. They have opportunities to contribute specimens to the collections, learn how skins are made, and learn the overall value of a collection. When not being used to educate OSU students, the teaching collection is also used for identification workshops at the museum, during tours, for outreach events, such as our annual Open House – coming up soon on April 22, 2017. 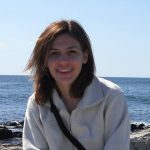 About the Author: Stephanie Malinich is Tetrapod Collection Manager at the Museum of Biological Diversity and research assistant in Dr. Andreas Chavez’ lab. 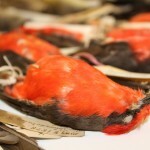 We have thousands of specimens, many of them multiples of the same species. You may wonder what the value of having hundreds of examples of the same species is. 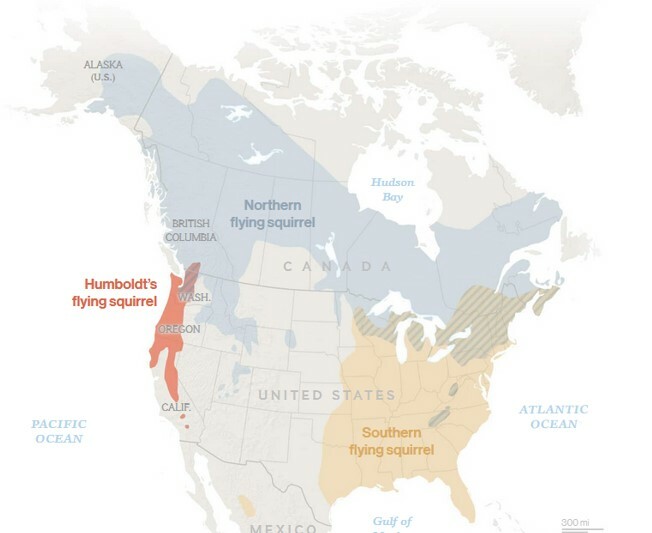 What can we learn from multiple American Robins (Turdus migratorius) or Northern Cardinals (Cardinalis cardinalis) that can’t be learned from just one? To help answer this question let’s think of the collection as a library. And each species is a single book on a shelf. Each specimen represents an individual page within that book telling it’s own story of the what, when, who, where and why it lived it’s life. As a species begins to change over time we can show that process through the multiple individuals of a species in our collections. Our collections may never be complete but as you examine trays of species you learn the story of what makes that species unique. Now when you look at the examples of our multiple specimen species trays, try to see if you can see how we get generic descriptions or illustrations of species. Also look at how different each individual looks when compared to others on the tray. As we near the end of 2016, you probably read various statistics about events that happened during the past year. We at the museum of Biological Diversity are, for example, interested in how many species have become known to science and how many have gone extinct during the last year. I came across a list of 13 bird species that had to be declared extinct during 2016. 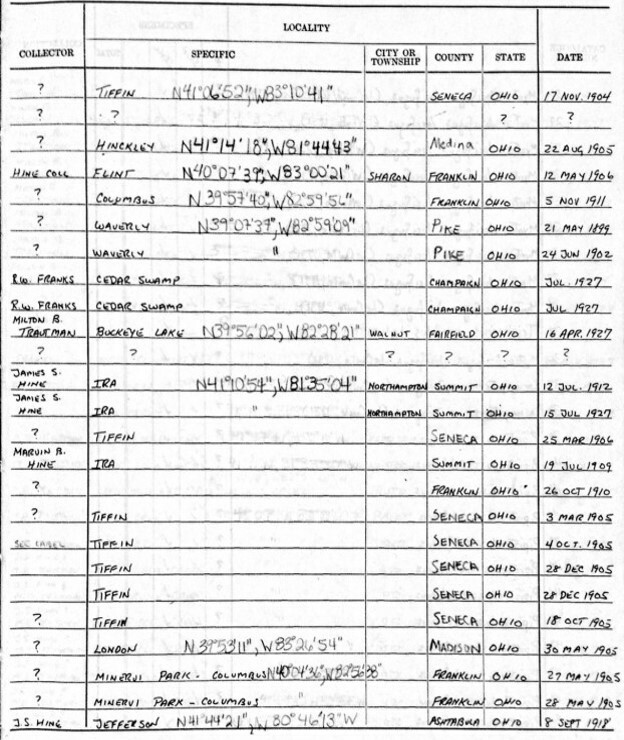 A quick search on VertNet – an online database that aggregates occurrence records from many natural history museums around the world and is accessible to everyone for free over the Internet – so check it out! – reveals that at least some of these extinct species will live on as specimens in natural history collections. 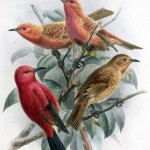 These birds all lived on islands and have actually only recently become known to science as distinct species. They will not live longer in the wild, but some will be accessible in museum collections. Here researchers can study them to find out how these species lived and their findings may help prevent extinctions of related species in the future. That’s why we need to keep preserving our specimens! Below are some photos of the Vermilion Flycatchers in our collection, the males have bright red plumage with black, the females are more subtle in their coloration. 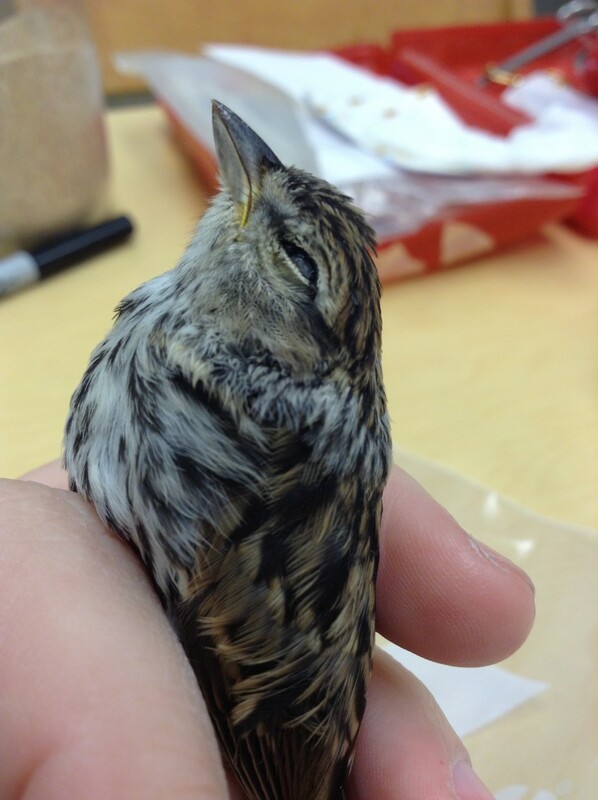 Metadata are important with each specimens, including where the bird was found. When some island populations of a species get split off into their own species we can then update our database. We do not have what is now known as the least vermilion flycatcher, our specimens are from Brazil, Texas, Colorado and one skin from Ohio. You may have guessed, the latter was prepared by Milton Trautman in 1958, collected by William G. Porter in Clark county. Only few records of this species exist in Ohio. 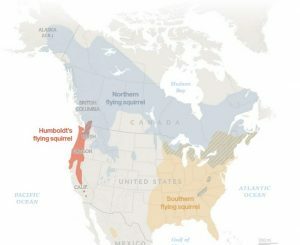 On eBird, an online database of bird observations, I found only four additional sightings in 1956, 2001, 2009 and the latest in 2010. 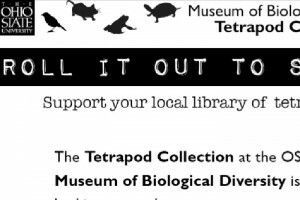 You may remember from our fundraiser last October that the OSU tetrapods collection also holds specimens of several extinct species. Let’s hope that we do not have to add any new bird species to our already extinct species in 2017. Happy New Year! 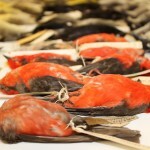 Have you ever wondered how natural history museums store some of their priceless and unique specimens? 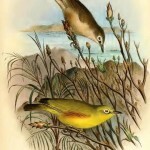 Though all museum specimens could be considered priceless and unique, some specimens may be the last representation of their species, known as extinct species. Other specimens are the very first of their species to be described, known as type specimens. Both of these groups of specimens are truly unique in collections, some museums may never have any of these rare specimens. Our Tetrapod Collection does possess irreplaceable specimens of extinct species and in October we ran a campaign to raise funds to better store and preserve such exclusive specimens. We dedicated the month of October to tetrapods and filled it with social media posts about wintering strategies of various animals, thoughts on natural history, photo galleries, and videos illustrating what our collection means to the students, staff, and faculty of The Ohio State University. With the help of Devon Olding Videography, we made several short films highlighting our extinct species, storage of specimens, how we make specimens. 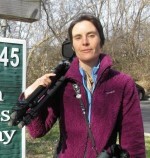 Stephanie gave public outreach talks for Columbus Audubon and at the Ohio Avian Research Conference highlighting the importance of natural history collections. A special thank you goes out to our students who worked on blog posts, helped with social media posts for Instagram and Twitter, and assisted with the design of our handouts to publicize the event. At the end of our campaign, we exceeded our goal of $5,500! With the raised funds we will purchase a new cabinet on wheels, trays, and acid free tray liners to ensure that our extinct species will last for hundreds more years. Very different than a cabinet found in your kitchen, a museum-quality heavy-duty metal cabinet is made to last and protect the specimens from hazards such as pests or water. Additional funds will go towards a new display cabinet to allow us to show-off our species of the month during tours. We want to thank all of you who helped share our posts and videos and a special thank you to those who donated to the campaign. 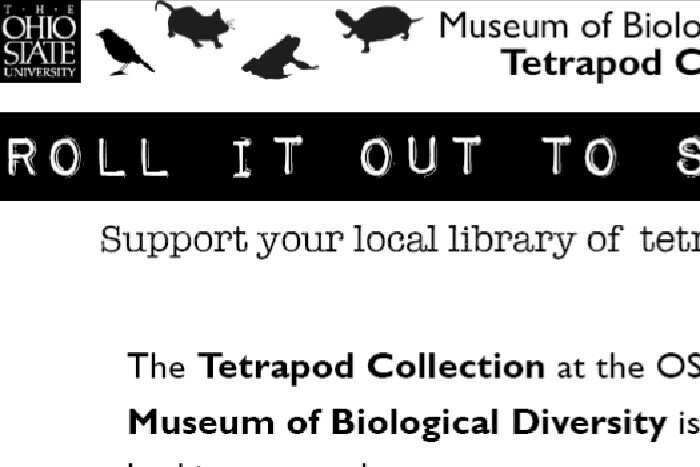 We hope you had fun learning about tetrapods, The Ohio State University’s Tetrapod Collection in particular and what our collection means to our students, faculty and staff – more about this in Friday’s post. 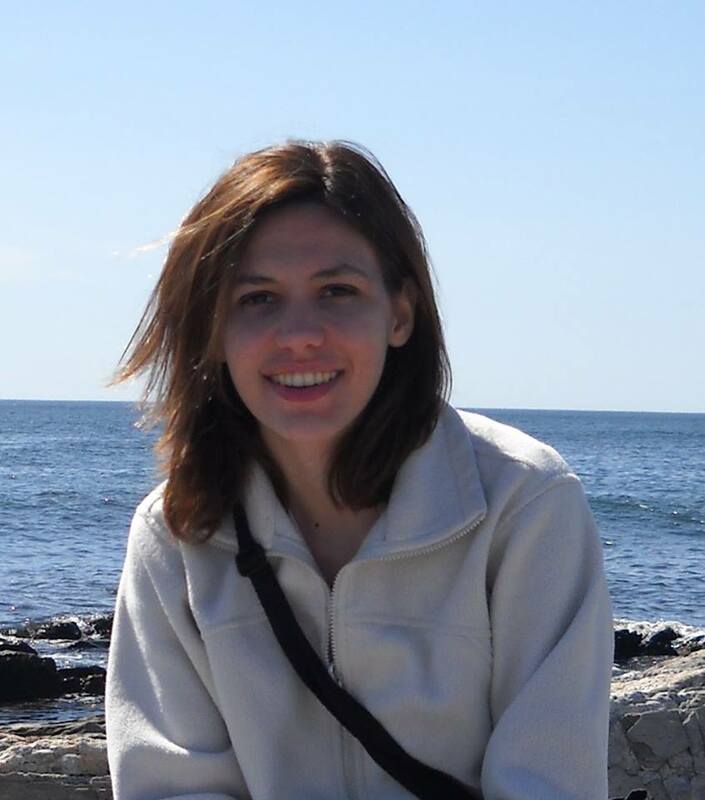 About the Author: Stephanie Malinich is collection manager of the OSU tetrapods collection.